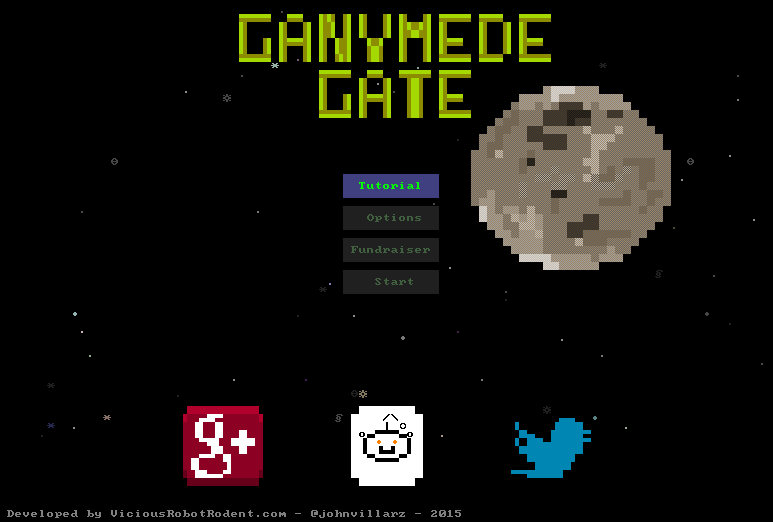 Ganymede Gate is a multiplayer roguelike set in a solar system human base that has been invaded by a mysterious presence. 4 types of monsters: the drone (letter **d**), the monsta (letter **m**), the tracer (letter **t**), and the new squad based AI Marine. Several classes with different start attributes and weapons/items. 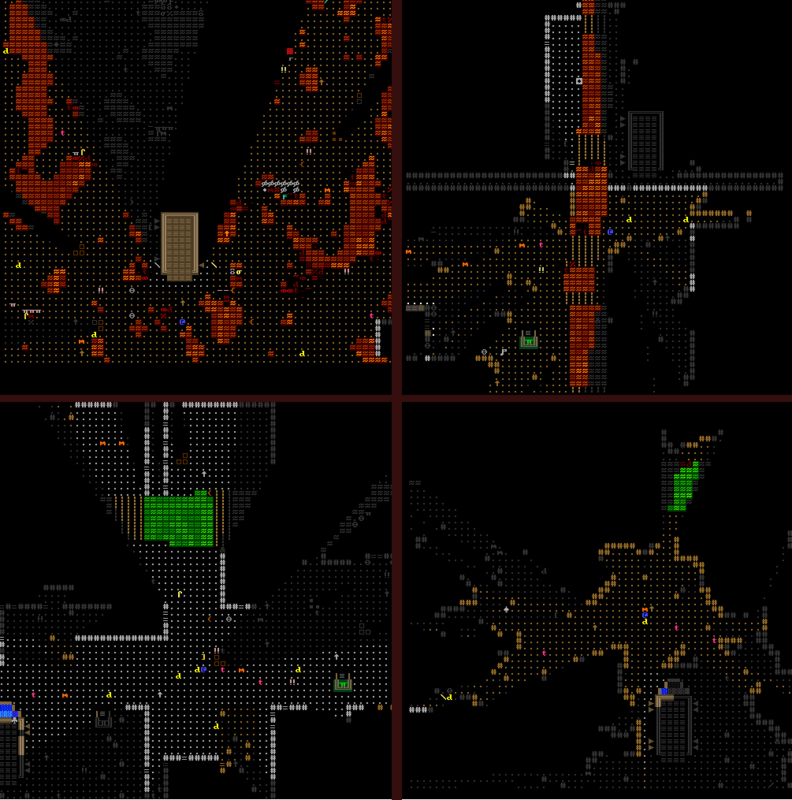 3 types of level generators: crumbling base, caves and lava lake. 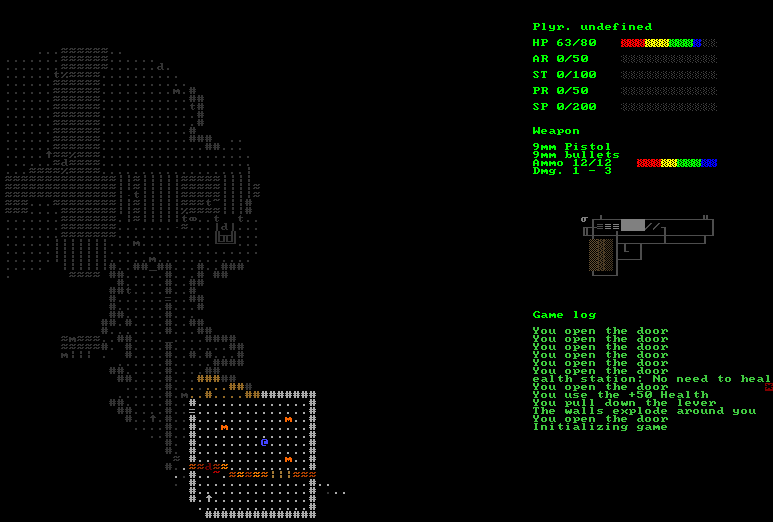 Marine class starts with a randomly generated weapon based on the MP9 sub machine gun. The center keys are for waiting. 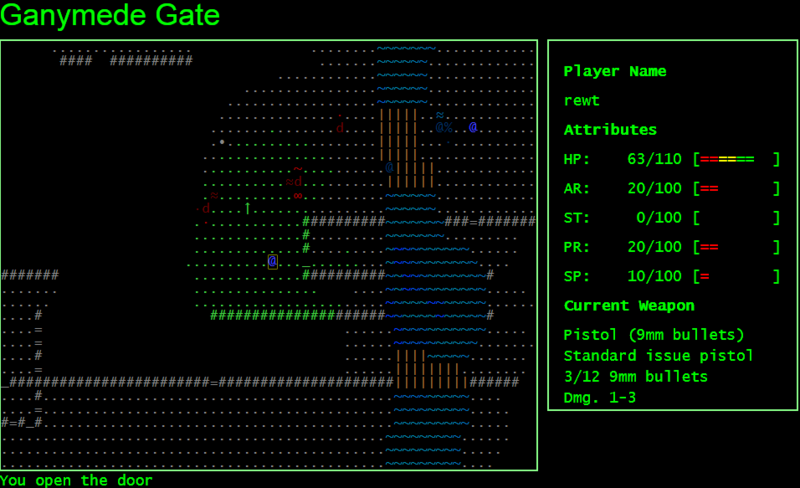 Shift augments movement with jumping or bashing (if a monster gets on the way). 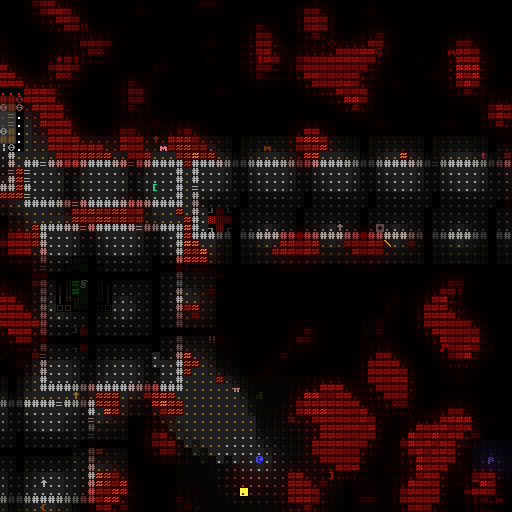 Bashing knockbacks enemies. F: Fire. Hit again to pick the nearest target. Shift + F: Secondary fire. Hit f to pick the nearest target. G: Grab whatever is on the floor. Shift + R: Secondary reload. Space: Activate (levers and stairs for now only). Use item on inventory screen. Sometimes secondary fire doesn't gets correctly tigerred. Unsolvable levels. Reserve some explosive weapons for these cases. General bugginess you would expect from an alpha release. Item generator with multiple variations for each one, ranging from a few variations for simple items, to thousands of variations for complex weapons. 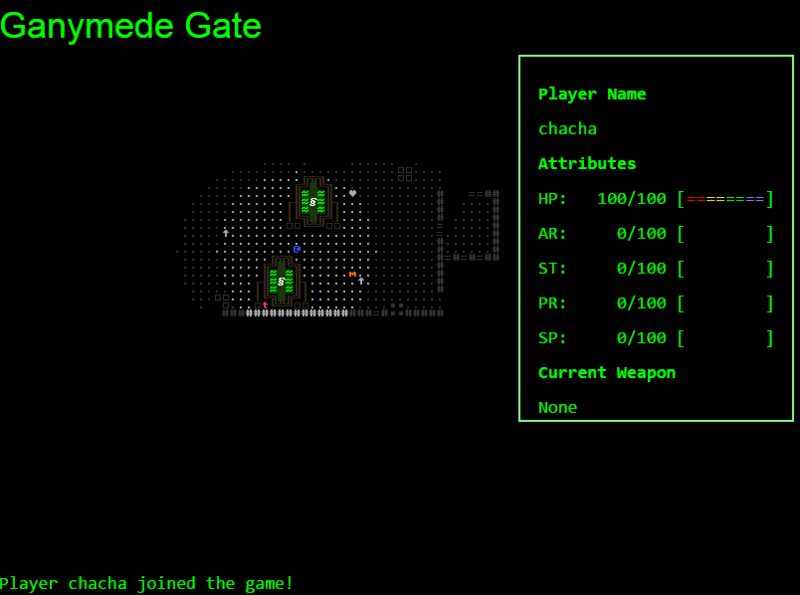 The game was developed form the start to be server based. The client is just a dumb terminal with little to no logic whatsoever. 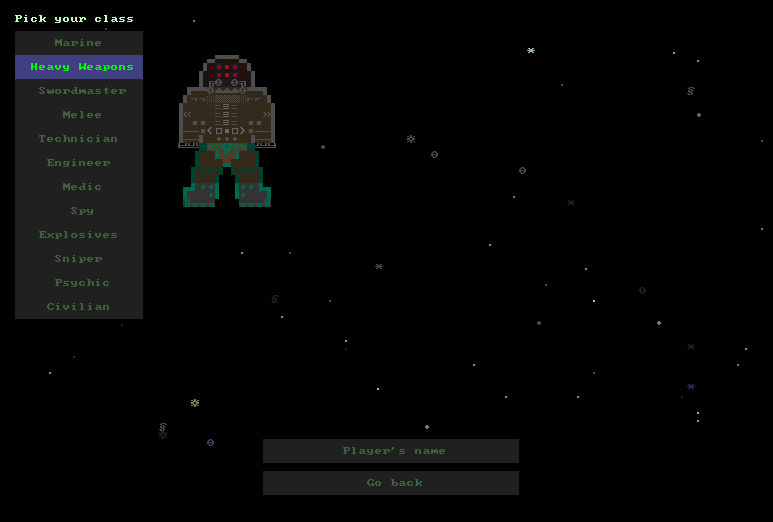 All player and npc commands are processed on the server and then results are sent back to each player, but only if their Area-of-Interest (AoI) covers the results. Communication between the client and the server is all done via JSON messages (with the server->client channel being compressed with ZLib) with a very straightforward and readable format. The reference client, implemented on HTML5, is meant to be one of the many ways to play the game, with planned Unity port for Android and (if funds permit) iPhone. This page was last modified on 3 December 2015, at 05:39.